Mary, Star of the Sea ELC (referred to as the ELC) began in September 1980 in the former convent of the Sisters of Notre Dame de Namur. The two founding members were Sr. Christina Trudeau, S.N.D. and Sylvia Carey. Their vision was to meet the needs of the families and children of Mary, Star of the Sea Parish. 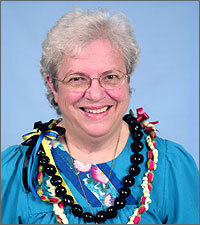 Mary, Star of the Sea ELC was the first Catholic Montessori preschool in Hawaii. The two-story convent with beautiful lava rock walls and open spacious lanais was the perfect place for a newly formed island preschool. In 1980 the children enrolled numbered 33, with ages ranging from three to five years of age with Sylvia Carey serving as director. A year later this grew to 80 students and gradually the enrollment increased. Today, the ELC enrollment ranges from 180-200 students. Today, the ELC remains the pre-primary division of Mary, Star of the Sea School and a leader in the community. The ELC is a private parochial school under the direction of the Catholic School Department carrying on the tradition in the Montessori method. Currently 180 children ages two to six are enrolled annually. The ELC is licensed by the Department of Human Services. In 1989, the ELC was first accredited by the National Academy of Early Childhood Education Programs, a division of the National Association for the Education of Young Children (NAEYC). The Academy administers a professionally sponsored, national and voluntary accreditation system for early childhood centers and schools. The ELC continues to maintain its NAEYC Accreditation and is also affiliated with the American Montessori Society (AMS) and the National Catholic Educational Association (NCEA).